Read today’s Scripture with its context: “ Behold, the days come, saith the LORD, that I will make a new covenant with the house of Israel, and with the house of Judah:  Not according to the covenant that I made with their fathers in the day that I took them by the hand to bring them out of the land of Egypt; which my covenant they brake, although I was an husband unto them, saith the LORD:  But this shall be the covenant that I will make with the house of Israel; After those days, saith the LORD, I will put my law in their inward parts, and write it in their hearts; and will be their God, and they shall be my people. And they shall teach no more every man his neighbour, and every man his brother, saying, Know the LORD: for they shall all know me, from the least of them unto the greatest of them, saith the LORD: for I will forgive their iniquity, and I will remember their sin no more. 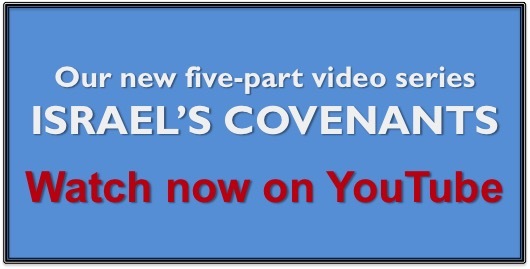 Here is the well-known New Covenant, the heart of the hope of the nation Israel. Without it, they would be permanently out of God’s plan. Let us notice how merciful and gracious the LORD God is toward Israel in these most precious promises given her…. Previous Previous post: The “Offensive” Gospel!